Whether its long-distance touring, daily commuting or weekend recreation, Axiom make a cargo solution for your next cycling adventure. 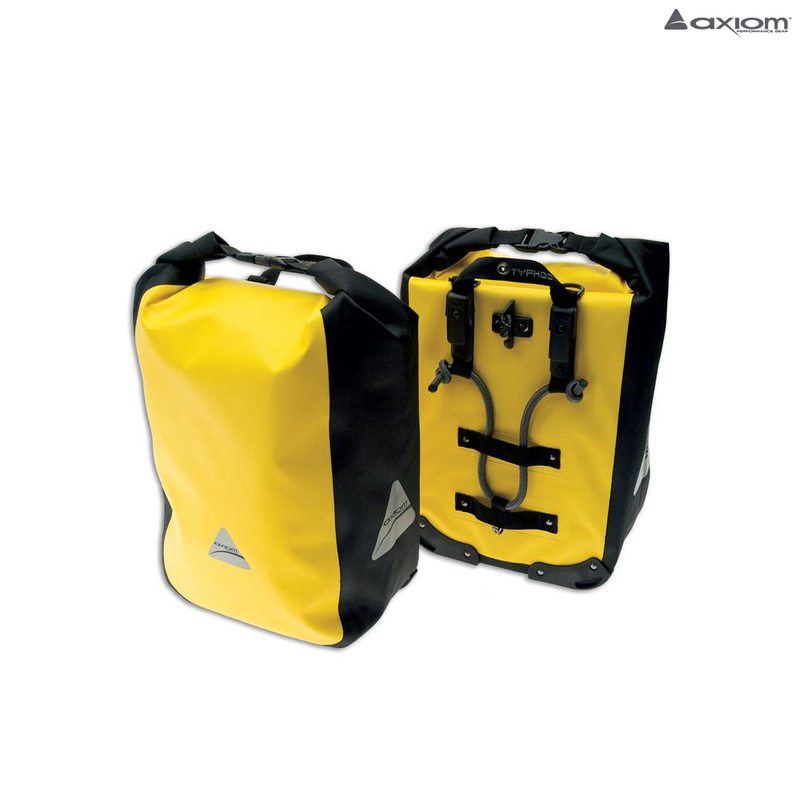 Axiom bags use only the highest quality materials and are assembled using cutting edge manufacturing processes, so they are lighter and last longer than other bags. Every bag Axiom make reflects the extraordinary attention to detail that is Axiom's hallmark. Axiom sweat the details so you can relish in the journey. Axioms performance commuter series, fully waterproof Tempest panniers are a highly functional yet elegant cargo solution. Engineered to minimize wind resistance and boost load stability, these bags feature Axiom's unique Streamliner technology, so they slice through the air and secure loads close to a bikes centre of gravity. Tempest panniers improve efficiency and stability, delivering a better ride.